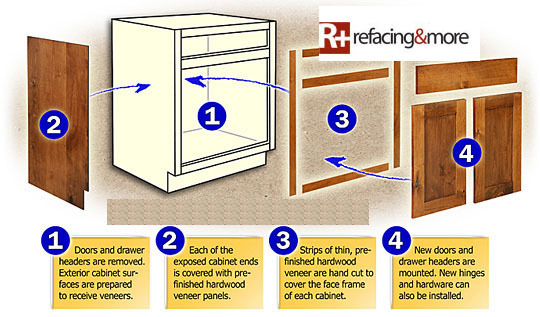 With Refacing your existing cabinets remain in place. We discard the existing doors and drawer headers. A real wood veneer is added to the face frame of the cabinet and matching plywood is applied to all exposed cabinet ends. Next solid wood doors and drawer headers are added to finish the process.